The Chenette Scholarship Fund provides college scholarships to students at area high schools to empower the next generation of civic minded leaders through this 501(c)(3) nonprofit organization. We currently offer two scholarships: the Justin Chenette Spirit of Service Scholarship at Thornton Academy and the Future Entrepreneur Scholarship at Old Orchard Beach High School. 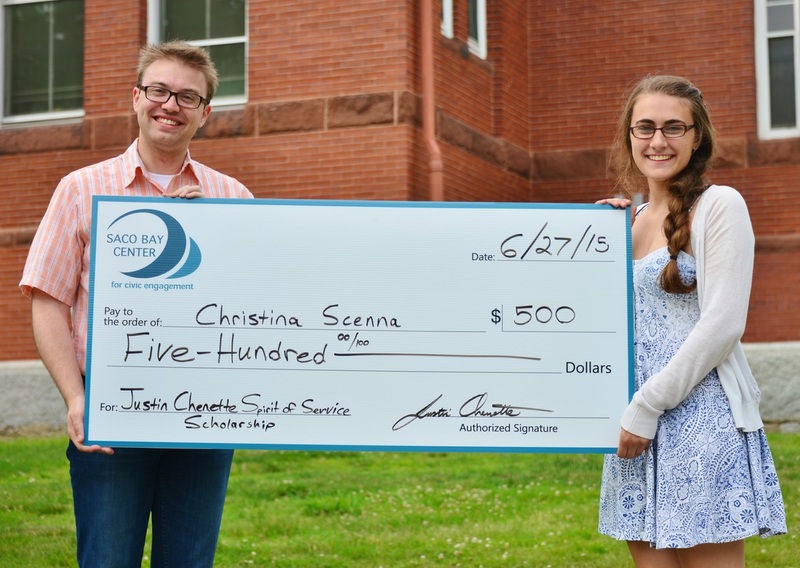 The Justin Chenette Spirit of Service Scholarship, is awarded to a graduating senior from Thornton Academy who has demonstrated a passion for helping others, strong leadership skills, and has worked to improve the community outside of the school’s campus. $500 will be awarded to the student who best represents the goal of the scholarship; to encourage and assist the next generation of community leaders in achieving their educational objectives. Once selected, the recipient will be required to send a first semester transcript with a GPA of 2.0 or better and proof of second semester enrollment to your high school guidance office. I started this scholarship as a way of giving back to a school and a community that has given so much to me. As a 2009 graduate of Thornton Academy and current class agent, TA is a proud part of my story. I credit my success today because of the experiences I had at the school. 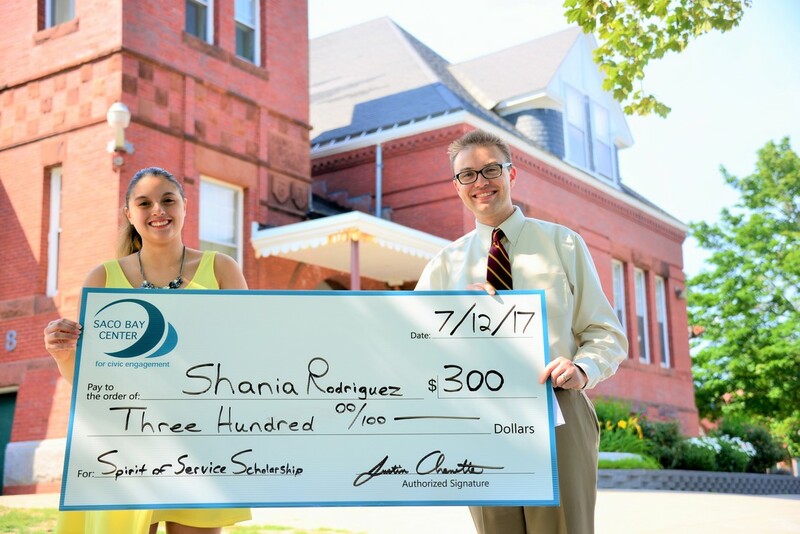 Shania Rodriguez is the 2017 Saco recipient of our Justin Chenette Spirit of Service Scholarship. Shania is truly inspiring from her passion for helping others in the community to caring for her mom who is going through cancer treatment. She will be attending Southern Maine Community College in the fall on her way to becoming a nurse. I have no doubt that Shania will do wonderful things in the future. A life of giving back. Let's all have her mom in our hearts and prayers on her difficult road ahead. Shania's light and grace no doubt helps immensely. 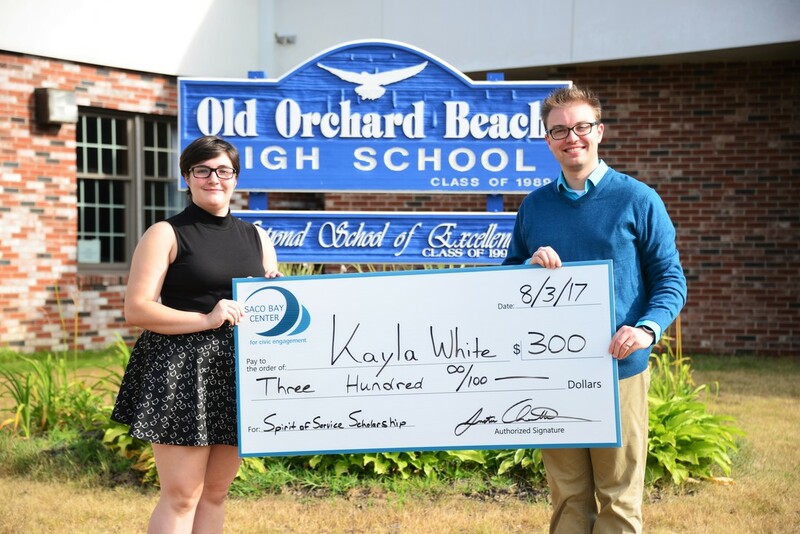 Kayla White is 2017 OOB recipient of our Justin Chenette Spirit of Service Scholarship. He is a recent graduate of OOB High School. She completed almost 300 hours of community service before graduation. True epitome of why we started the Spirit of Service Scholarship. She is off to do great things down at Fisher College in Boston where she is majoring in Criminal Justice. 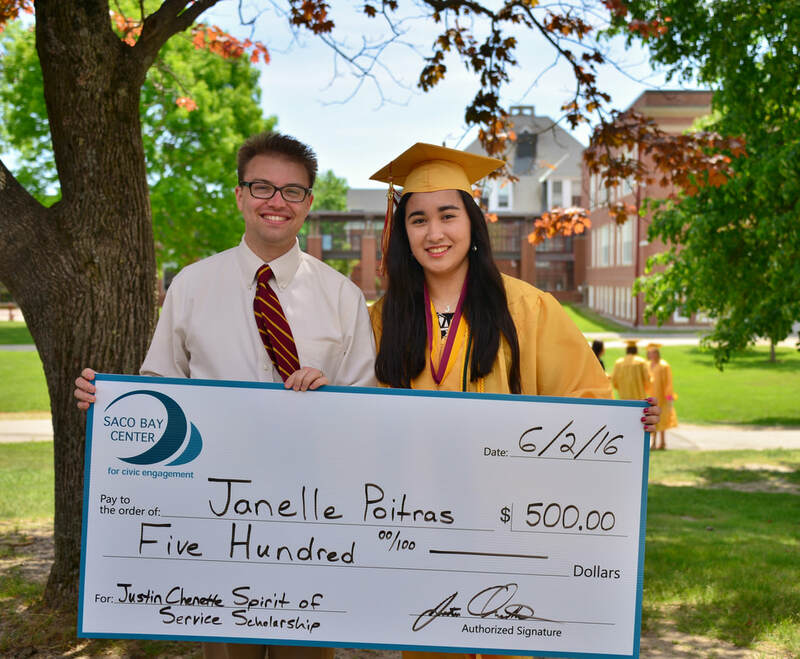 Janelle Poitras is our 2016 recipient of the Justin Chenette Spirit of Service Scholarship. Janelle's work on campus and in the community with various nonprofit causes is worthy of this recognition and more. She plans to study business at Stonehill College in Massachusetts starting this Fall. 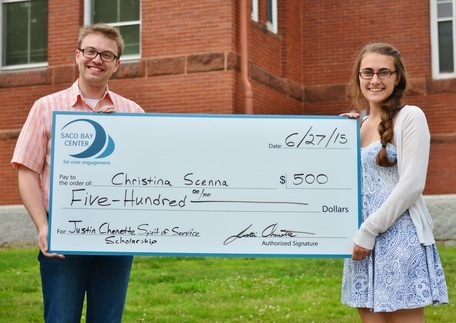 Christina Scenna of the Thornton Academy class of 2015, received the first Justin Chenette Spirit of Service Scholarship. Christina plans to attend Saint Michael's College in Vermont to study sociology this fall. 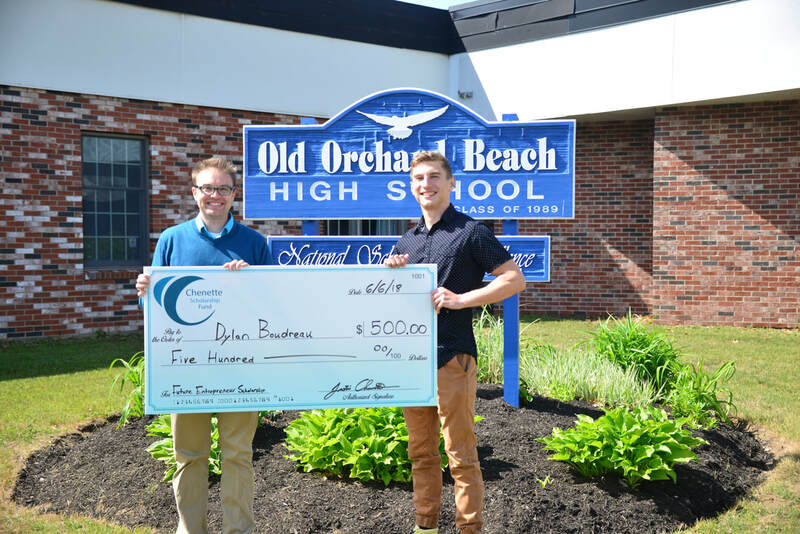 The Future Entrepreneur Scholarship is awarded to a graduating senior from Old Orchard Beach High School that plans to major in business, hospitality management, a vocational trade, or related tourism field. $500 will be awarded from the scholarship selection committee to the student who best represents the goal of the scholarship; to encourage and assist future Old Orchard Beach entrepreneurs, business leaders, and young professionals in achieving their educational objectives. Once selected, the recipient will be required to send a first semester transcript with a GPA of 2.0 or better and proof of second semester enrollment to the school. Dylan plans on majoring in Business Finance at the University of Maine at Orono. After he has experience he said that he wants to come back to our community and open a business. 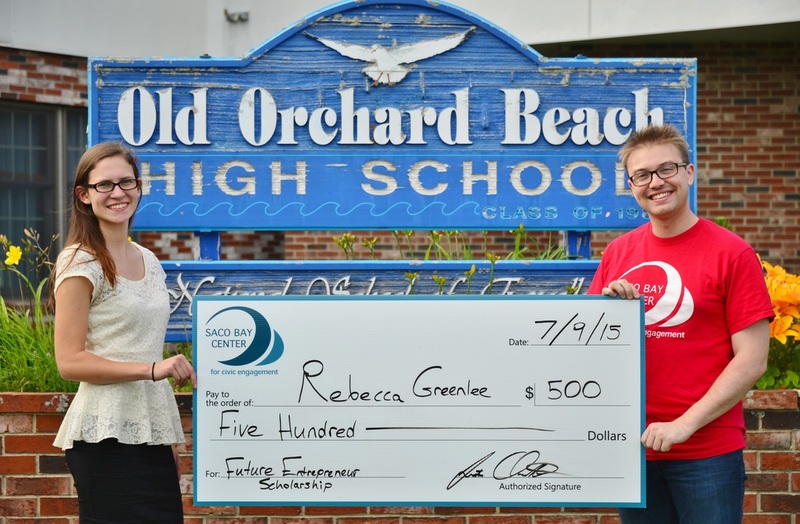 Rebecca Greenlee of the Old Orchard Beach High School class of 2015, has received a scholarship aimed at keeping young business-minded professionals in the area. 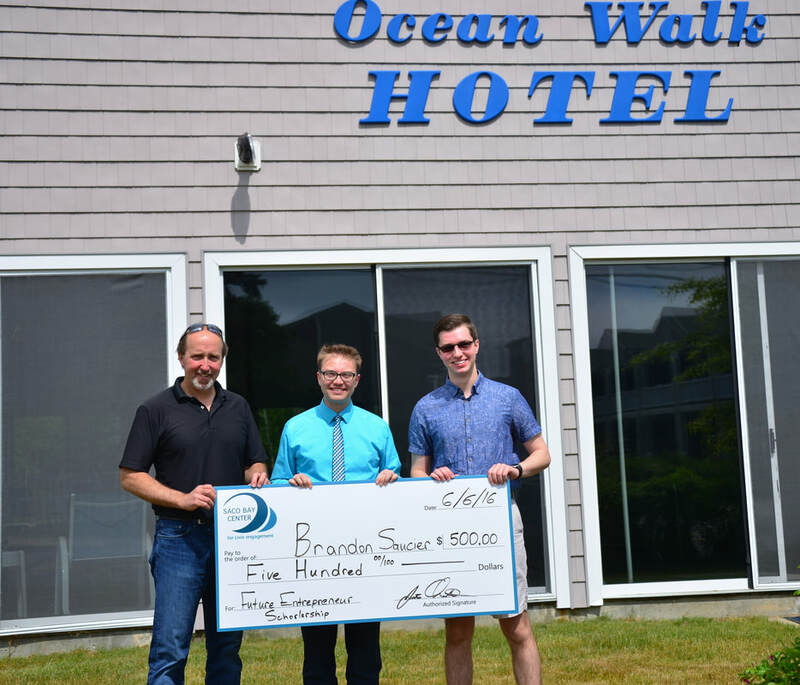 Brandon Saucier of Old Orchard Beach is our 2016 recipient of the Future Entrepreneur Scholarship. 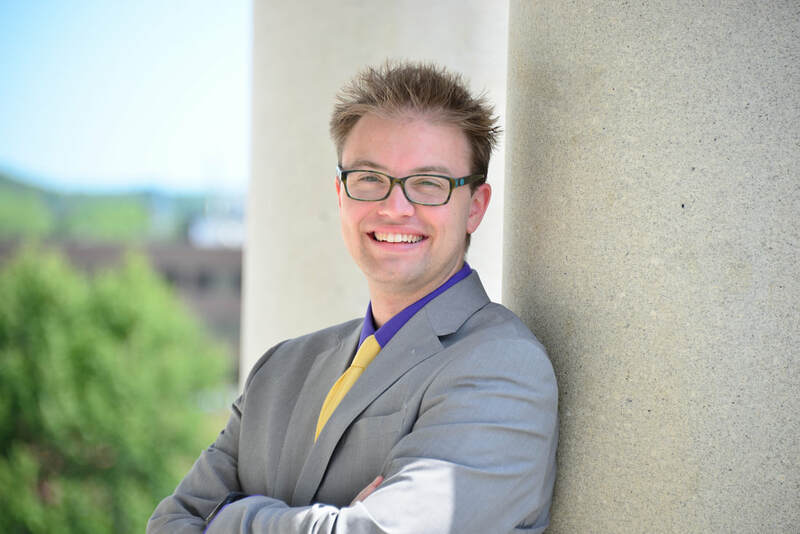 ​Brandon's passion for small business runs in his blood. When he isn't at school, Brandon works at his family-owned hotel in OOB, the Ocean Walk Hotel. He plans to study business as a major starting this Fall. Help us fund more scholarships like this! Applications for the 2018 school year are available at your guidance office.